No. 7 Washington State (10‑1, 7‑1 Pac‑12) will host No. 16 Washington (8‑3, 6‑2 Pac‑12) in the Boeing Apple Cup Series Friday in Martin Stadium on the Pullman campus. Kickoff is scheduled for 5:30 p.m. on FOX. For the third straight season, the Cougars enter the Apple Cup with an opportunity to claim the Pac‑12 North Division with a win over UW. 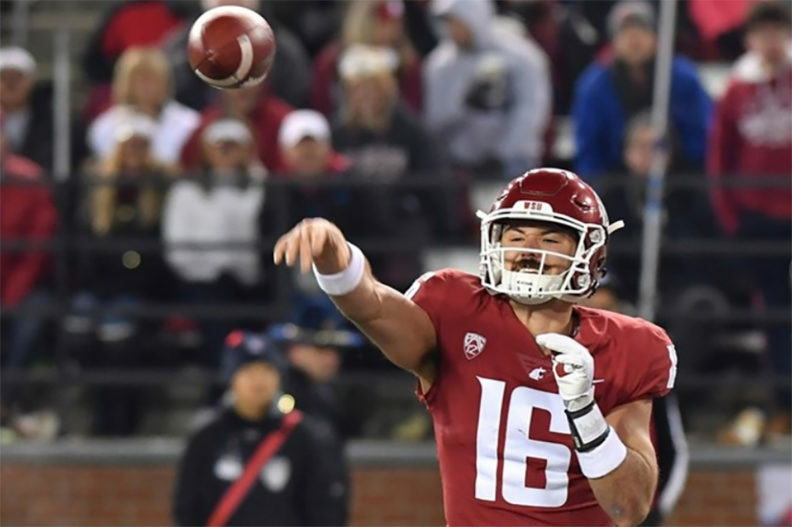 The Apple Cup winner will face Utah in the Pac‑12 Championship Game next Friday in Santa Clara, Calif.
WSU trails the UW in the overall series 72‑32‑6, with the Huskies claiming the last five meetings. See the full story at the WSU Cougars website.